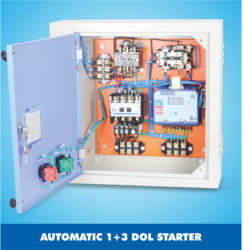 Our product range includes a wide range of mobile drip irrigation controller, mobile automatic water pump controller, mobile controller starter, gsm 3 phase star delta starter, automatic 3 phase dol starter and automatic 1 3 dol starter.
. The main advantage of this water level controller circuit is that it automatically controls the water pump without any user interaction. Our project consists of two water level sensors, one fixed at the top and other at the bottom. Broadly treasured and acclaimed for its fine functionality, dimensional accuracy, and ruggedness, these offered products are highly in demand. 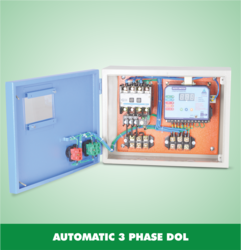 Owing to our rich experience and vast knowledge of this domain, we have been able to offer high quality Mobile Automatic Water Pump Controller. It continuously monitors the liquid level of the overhead tank and reservoir. The Automatic Pump Controller controls the water pumps and turns it ON and OFF with respect to the level in the water tank. This auto-switching feature saves manpower. 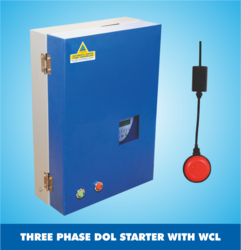 Due to their automatic operation and robust design, these water pump controllers are highly demanded. 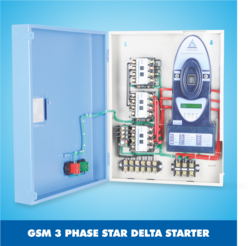 Mobile Controller Starter is a device to control and monitor electric motors, agriculture pump sets through mobile phone using GSM technology. This is a GSM powered remote controller to switch ON and OFF electric devices from remote location. This wireless GSM remote controller helps the farmer to handle agricultural pump sets easily. It also helps the farmer to irrigate the crops in proper schedule. Farmer can set the total running time of pump set to be run. Looking for Mobile Controller with Starter ?